We offer several opportunities for parents to participate in activities. 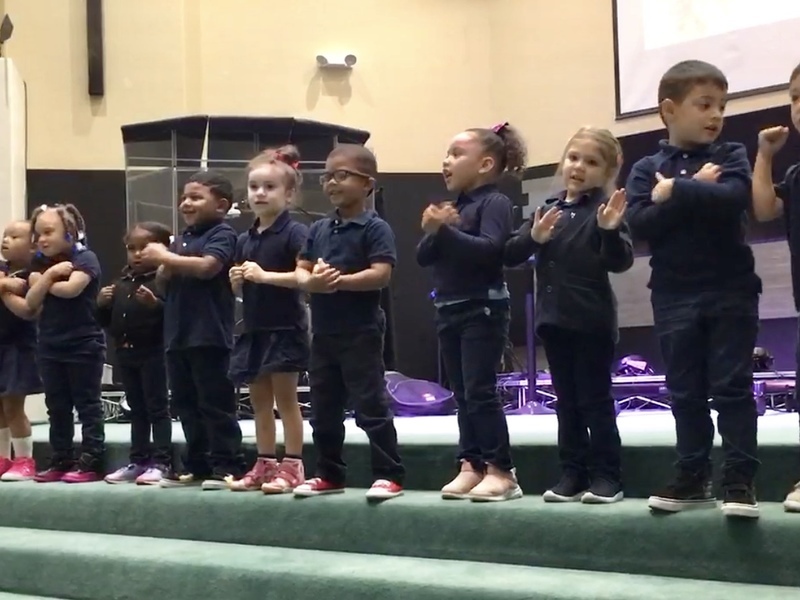 Four times a year, our preschoolers get to take the stage in a morning chapel service, which we encourage families to attend (Harvest, Thanksgiving, Valentine’s Day and Easter). They learn Bible verses, poems and songs in their classrooms, which they perform on stage for the chapel service. Like our chapel services, children participate in a Christmas program and our End of the Year program. Both of these are held in the evening. After our chapel services, we have celebrations in our classrooms, which we invite parents to attend. We also have special events such as Muffins with Mom and Donuts with Dad.